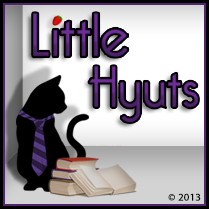 There’s also an excerpt available at Little Hyuts, and a promotional spotlight over at Book Labyrinth. Thanks so much to Jill Marie and Ashley for hosting! Thanks so much to Nadia, Trine, and Carrie for hosting! Book Two, Shudder, picks right up where Alessa and Isaac left off—outside Paragon and on a critical mission to find a suitable place to relocate the rebels so they can reclaim their lives and fight against the Ruling Few who are doing unspeakable things in the name of Utopia… otherwise known to those of us in the know as Communism. Yes, every time they try it, it fails. But that’s not stopping these self-indulgent, power hungry moguls from giving it another go. You see, it’s just a matter of genetics, right? Or actually, that old eugenics thing Hitler did. Because they are hand-picking those they think are suitable for the “perfect society”. Next, head over to Saturday’s stop at Reading With ABC for another fab review plus an excerpt! Finally, swing by Contagious Reads to enter a new e-book giveaway! Thanks so much to Julie, Liza, and Lori for hosting!! 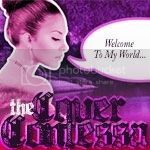 Swing by The Cover Contessa for the rest, and have a great weekend!! By the time the sun dipped toward the skyline, Alessa and Isaac had wandered through two more vacant neighborhoods, a derelict shopping center, and a downtown area that could only be described as a ghost town. The pervasive quiet shrouding the once-vibrant village intensified the eerie feeling of being utterly alone. If Alessa hadn’t known what happened, she might have expected families and school kids and zipping cars around every corner. Besides the overgrown shrubbery and the occasional smashed storefront, everything seemed just in its place, waiting for its inhabitants to come home. Next, head over to Books & Life for a chance to win a PRINT copy of Shudder, and enjoy another 4-star review! Big thanks to Angelya and Joy for hosting today’s stops!